Nicolas Cage recently set out to turn the tide of World War II in USS Indianapolis: Men Of Courage and hunt Osama Bin Laden by his lonesome in Larry Charles’ Army Of One. His cinematic do-gooding isn’t over yet, as he’s just signed on to lead a sci-fi thriller about the dangers of global warming. Rob King’s The Humanity Bureau will star Cage as an agent of the titular organization, which has the power to banish “unproductive” members of society from within its non-ravaged confines. As Kross, Cage will be a company man at first, who remains “impartial” while he goes around deeming the worth of others. Luckily, Kross has a change of heart after investigating an appeal by a single mother and her son. He then goes from model employee—who, if you think about it, would be a horrible person in general—to whistleblower. 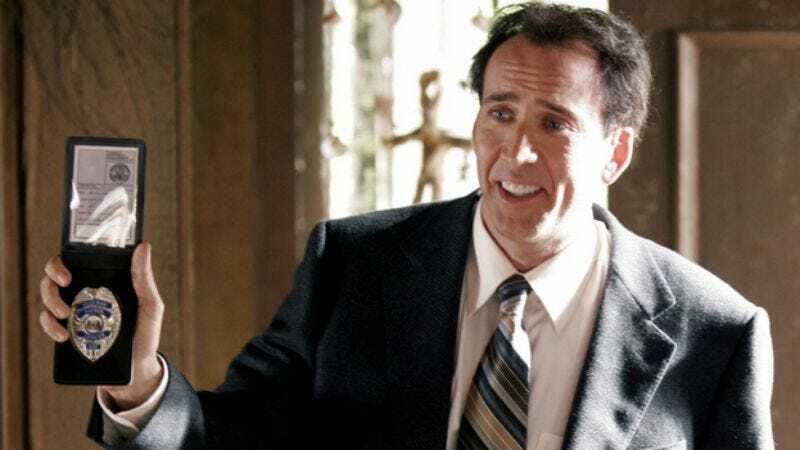 That all sounds pretty awful, but at least the whole global warming thing probably means Cage won’t have to fear any bees.